By utilizing skills of our experts, we have been able to attain prominent place in market by offering premium quality Metamorphic Soapstone. Talc is the softest mineral (occupying place 1 in the Mohs` hardness scale) known on our planet earth. It is lamellar, platy, organophilic, water repellent with special thermal and mechanical properties. It has a high capacity for absorbing organic substances. We are providing superior quality range of Soap Stone. 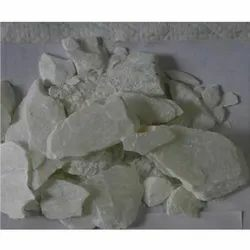 High grade soap stone (paper grade). All Rocks & Minerals Specimens will be Available. We have More than 150 Types of Rocks & Minerals Specimens which is Available in Loose Polythene in 1" to 4" Size. Small Chips of Rocks & Minerals also Availble by Weight. 1/2 Kg & 1 Kg Packing is Also Available. We deal in Soapstone of best quality and we offer them to our clients. These stones are widely demanded in the market for their excellent designs and high breaking point. The stones are procured from our trusted vendors. These are perfect for interior and exterior applications. Soapstone is often used as an insulator or housing for electrical components, due to its durability and electrical characteristics and because it can be pressed into complex shapes before firing. accompanied with advanced manufacturing practices and a dedicated team, we provide superlative soapstone powder. Our natural soapstone is derived from the well renowned mines of rajasthan that assures its purity. Processed under strict quality control, our soapstone mineral is of high quality. 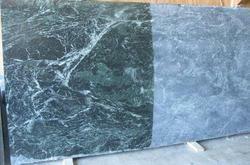 We are counted among the blooming soapstone exporters based in india.